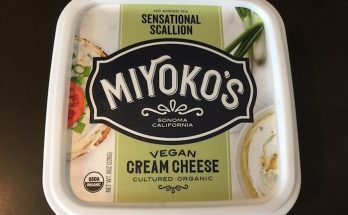 As a fan of Kite Hill’s chive cream cheese, I was delighted to see this new flavor at a local grocery. 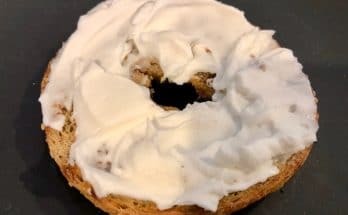 While this flavor will likely be delicious on many foods in many ways, two of us tried it on bagels. 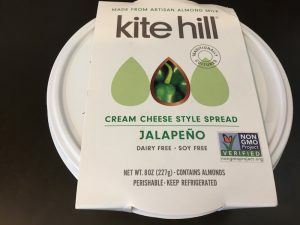 It has a smooth, creamy texture just like the other Kite Hill cream cheeses, and a wonderfully spicy kick thanks to the jalapeños. 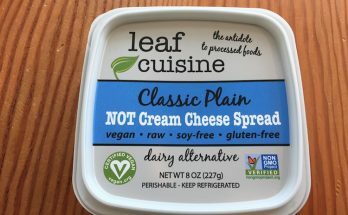 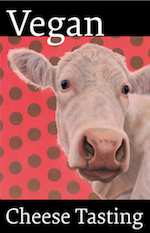 The only complaint we have about this variety is its slightly chalky taste, which I don’t notice in the chive flavor (though my fellow taster does). 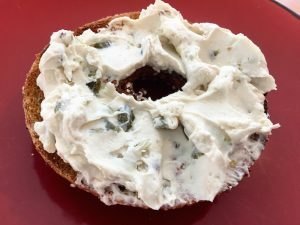 So this may simply be a matter of taste — I’d say it’s definitely worth a try if you love jalapeños, and any chalkiness may disappear if the cream cheese isn’t eaten straight but is mixed into a dip or dolloped into a bowl of chili.